Here's an Iron Chef Bradley entry from the past that did get voted the winner. Heat up the grill to hot. 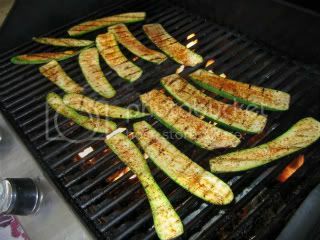 Slice zucchini lengthwise 1/4" thick. Grill about 3-4 mins on each side. Once cool enough to handle, chop. Still over a hot grill. Saute in oil the tator tots and chopped onions. 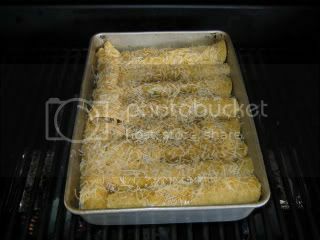 To make the filling, mix together sour cream, chopped parsley and 1 3/4 cups of the shredded cheese. 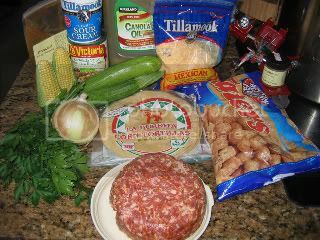 Add to this the browned sausage, sauted tots and onions and chopped grilled zucchini and mix until just blended. 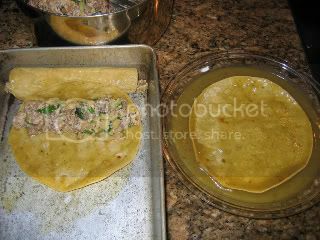 Soften corn tortillas in hot oil for 5 seconds on each size. Roll and place seam side down in a roasting pan. 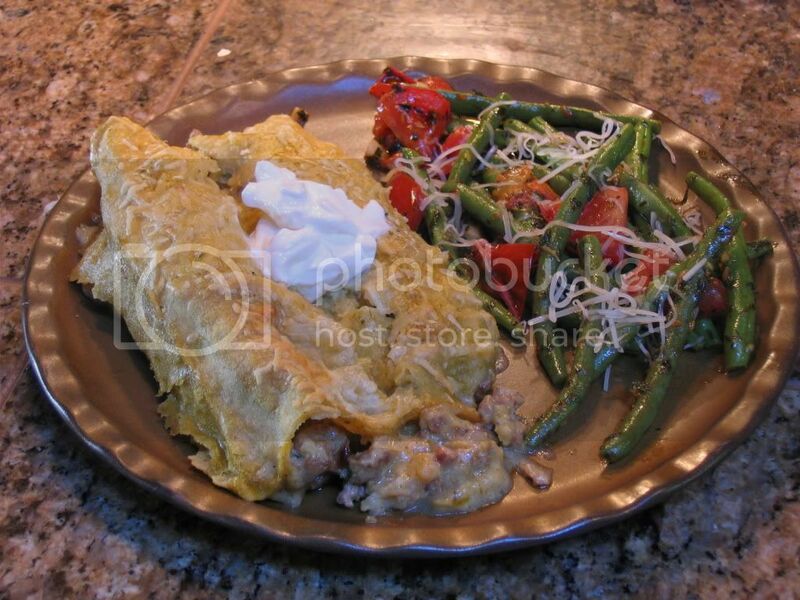 Once all your enchiladas are built, pour the remaining sauce over the enchiladas and sprinkle with the remaining 1/2 cup of cheese. Cook in a 350F preheated grill over indirect heat for 25 minutes or until bubbling. 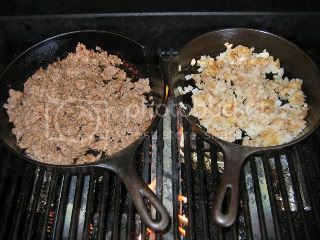 Close the grill while cooking.